Everyone’s favorite dreamgirl Taylor Swift has announced a new concert film called “The 1989 World Tour LIVE.” In a not so surprising move, the film will be released exclusively on Apple Music. Fans won’t have to wait long – the film comes out on December 20, and features backstage and onstage footage from the Sydney leg of Tay Tay’s 1989 tour, including special guests like Alanis Morissette, Steven Tyler, and Wiz Khalifa. You’ll be able to watch the film beginning next Sunday on Apple Music using an iPhone, iPad, iPod touch, Mac, PC, or Apple TV. Apple Music is coming to Sonos! Apple promised waaaay back in June that Apple Music would be available on the fancy wireless speakers before the end of the year, and now they’re making good, announcing this past week that the Music Streaming service will be available as a public Beta on December 15th, with general availability starting early next year. Beta means that its basically a preview, where users can give feedback to make the service and it’s integration into the speakers better. You’ll be able to access everything but “Connect,” the social feature that links you with artists. Sonos currently offers users a range of streaming services like Spotify and Tidal, and until Nov. 30th last year – Beats Music. Apple Music is a very welcome addition. You can find out more here. Apple Music & Beats 1 Live Radio Station. Apple Music is here! Well, not yet, but all the information about it is! Come June 30 users will be able to use it to stream songs, access curated playlists, and tune in to a 24-hour, live worldwide radio station called Beats 1. Apple Music can be split up into 3 different facets that Apple hopes everyone will use and enjoy (D’uh), as well as making the music world a fairer and more creative place to be. First, there’s the streaming service. 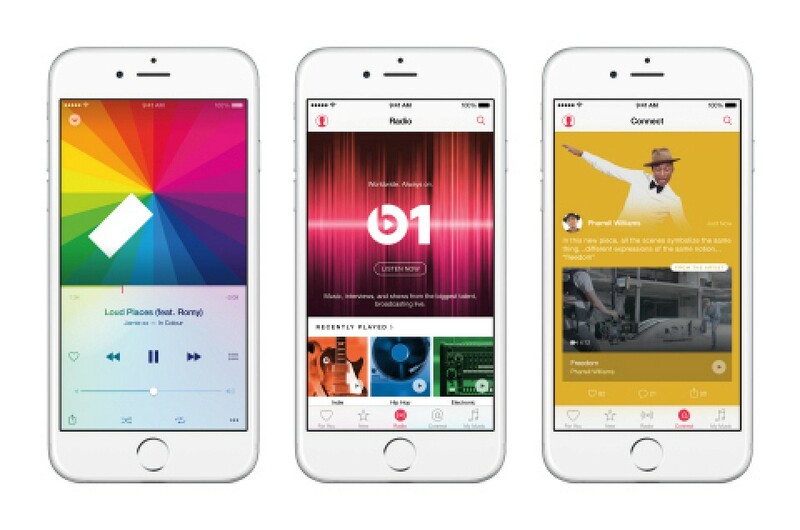 Your own collection of music, as well as tens of millions of tracks in the Apple Music library. Handpicked by a ‘dedicated team of experts’ just for you, (not too sure yet on the logistics of this) and a bona fide way to discover new music. Next, there’s the radio station – Beats 1. 24/7 radio broadcast to over 10 countries, and headlined by former BBC radio DJ Zane Lowe alongside other famous DJs from Los Angeles, New York and London such as Ebro Darden and Julie Adenuga. Beats 1 will offer exclusive interviews, guest hosts and other music world gossip and goings-on. Third, we have Apple Music Connect, a social platform for Artists ( both known and as-yet-unknown) to interact with listeners and fans, with extra multimedia offerings such as lyrics, videos, photos etc. So what do we think? Looks like a pretty solid service with a likely very big boost from grandfathered in Apple customers and the offer of a 3 month free trial. It will work, and it will be a strong and exciting competitor. It will add to the way that we listen to music. Even so, Pandora already has 80 million users, Spotify 60 million – so even with the boost, Apple might have a fight to the top. Apple Music will be available for iPhone, iPad, Mac and PC on June 30, with support for Apple TV and Android coming in the fall. For full membership, you’re looking at a monthly fee of $9.99 or $14.99 for a family plan for up to 6 family members, although there will be a 3 month free trial available for all. Check out the Ad for Apple Music here for the ‘feel good about the world with Apple’ feeling!